My husband sometimes has to go away on long business trips of a month or more. I don’t want to spend this whole time eating out or reheating frozen trays. This means I have to figure our how to cook for one so I don’t have a massive waste of leftovers. 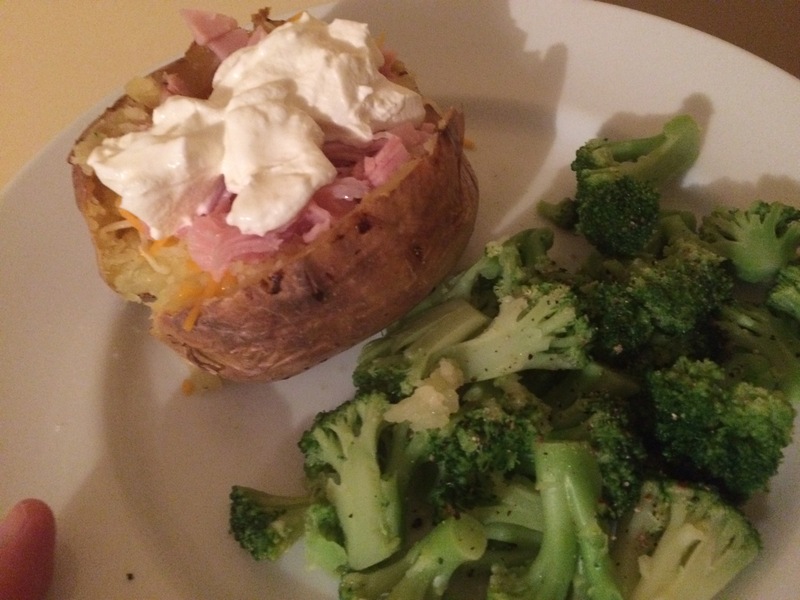 It also means I get in indulge in the more veggie-centric dishes I love/eat baked potatoes for dinner. Tonight it is French Onion Soup for one– a recipe I have tirelessly tweaked until I got it just to my taste (Maybe I will share my secrets with you soon). Here is a sampling of my “meals for one” over the past weeks. 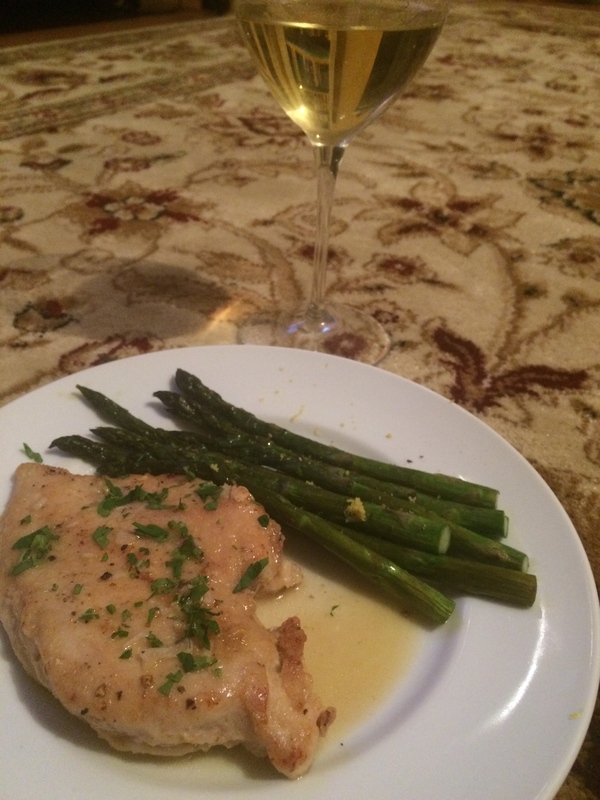 Chicken with white wine sauce. This is so easy to do for one and is one the plate in under 30. Simply pound out a chicken breast and season (S&P, garlic and onion powder) and sprinkle with flour on both sides. Sauté in a pan with a little butter and olive oil for a few minutes on each side. Finally, remove chicken and throw a little white wine in the pan to scrape up any brown bits. Add a little chicken stock, season and let reduce. Off the heat, whisk in some butter. 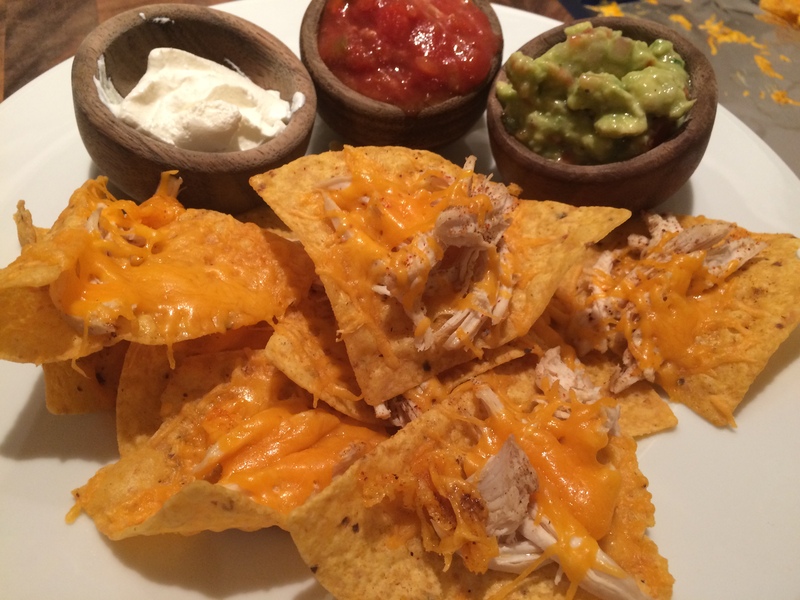 Voila– gourmet chicken for one. When I made the chicken in the picture above, I made an extra breast. 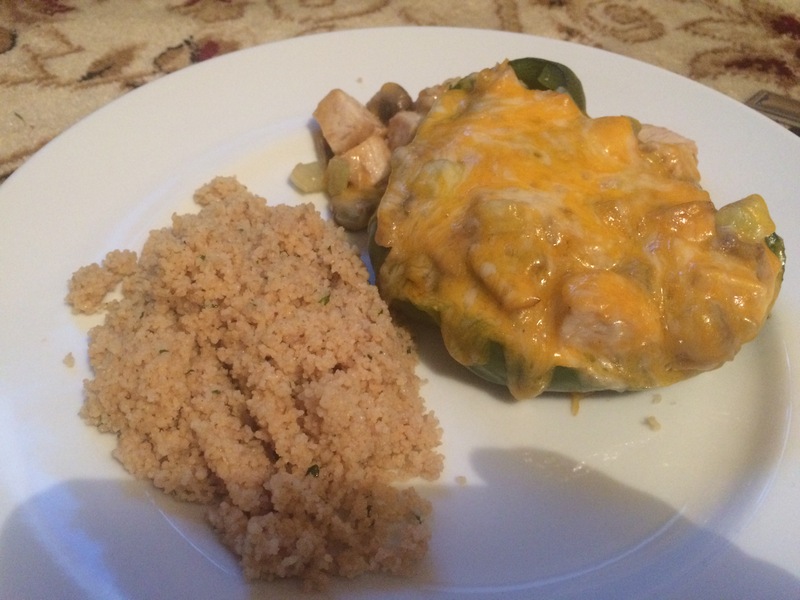 This is green pepper stuffed with chicken and mushrooms (sad looking but relish quinoa on the side). To make this you just sauté the mushrooms with some onion and celery. Then make a simple roux (melt butter then whisk in an equal amount of flour) and whisk in some chicken stock to make a gravy. Reheat chicken (with mushroom mix) in this gravy. Stuff pepper, top with cheese, bake. Hint: steam the pepper for a few minutes in the microwave first to give it a jump start. 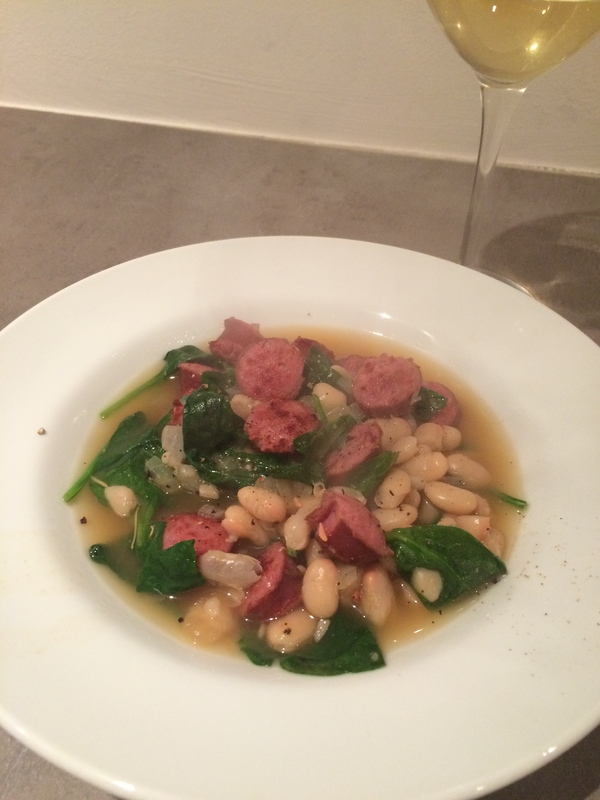 White bean, spinach and sausage soup. 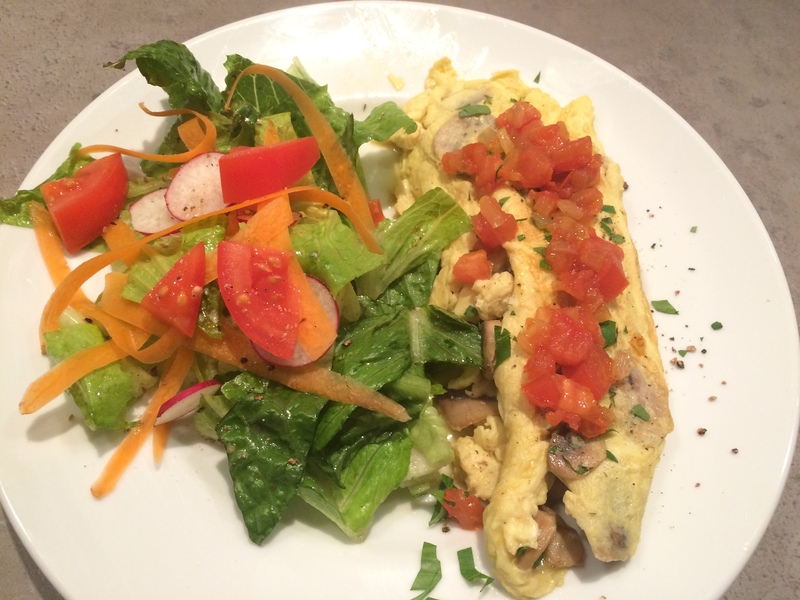 A favorite lunch/dinner of mine: French style omelette with salad. This one has some mushrooms in it and is topped with a quick tomato “jam” that I made. For the master class on making these omelets, go watch Julia Child do it in the first season of her show. It takes a little practice to get the pan shaking right but once you do it is a delicious meal that cooks in less than 30 seconds.